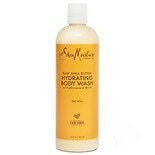 Shop SheaMoisture Raw Shea Butter Body Wash (13 oz. )13 oz. Shop SheaMoisture Raw Shea Butter Body Lotion (13 oz. )13 oz.